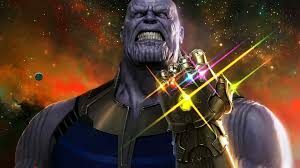 Since the first appearance of Thanos in the end-credit scene after The Avengers, turning ever so slightly and delivering a menacing grin, people have been asking who the purple tinged face was, and why is he a threat? Well, I’m here to tell you that he is a complete BADASS. I’ll be breaking down his first comic appearance and what he meant for Marvel throughout publication, and also what he means in the MCU. Thanos has been the Avengers’ foe for a very long time now, his motivations are as crazy as it sounds. He worships Death, she is a cosmic being that, like her name suggests, is the embodiment of death. All he wants to do is to impress her, and his chance came when put on the Infinity Gauntlet and snapped his finger, blinked out half the life in the universe. One of the most iconic scenes in Marvel publication at the time. 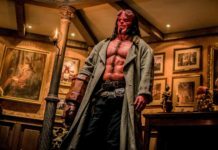 It shook the industry, solidifying his status as the most powerful villain the world has seen. The Death of the Marvel Universe can manifest physically in a number of ways, but often appears as a humanoid female, even if skeletal. Death appeared to Thanos in his youth, presumably because of his obsession with death and nihilism, and the two formed a relationship, a relationship that apparently hit rocky shores when Thanos was first defeated by the Avengers. 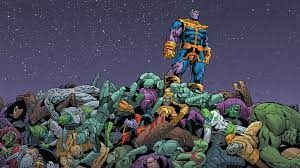 Since then, Thanos has been characterized by his desire to make a tribute to Death on a cosmic scale i.e., cause a truly staggering number of deaths, in order to win back her affections. During the events of Thor:Ragnarok, we see Hela (Cate Blanchett), portrayed as Mistress Death. So Thanos’ motivation is represented so it should be interesting how that interaction will be. So how powerful is Thanos and what can he do? Well, first of all, he is an Eternal. He comes from a race of beings on Titan, a moon of Jupiter. He’s a superhuman mutant born with the ability to synthesize cosmic energy for himself, which is incredible by any means. Thanos has superhuman strength at the level that he can take out Thor and even the Hulk. He has vast scientific knowledge, anything beyond Earth and is a master strategist. He’s not a grunt by any means. He’s also immortal and his body is virtually invulnerable to harm. He is immune to most psionic attacks and can release immense blasts of cosmic energy from his hands and eyes and use psychic attacks. With all these powers, the thing that makes Thanos so dangerous however is his nihilistic mind, intelligence, his love of Death and his potential to acquire omnipotence on a regular basis. Ultimately, Thanos is no joke. 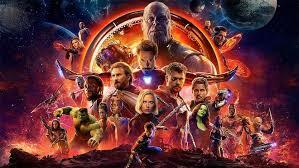 The Avengers have their work cutout for them, they will need every resource available to them to even survive this encounter. It’s amazing to see him on screen after years of being in the comics, and after 10 years of the MCU building up to this point. 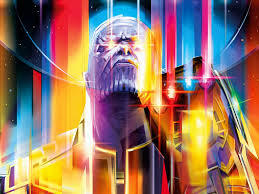 What do you think of Thanos? Did he impress you enough to be a fan? Will this be a cake-walk for the Avengers? Let NERDBOT know in the comics below!!!!! Shibu was born...somewhere...lover of comics, Star Wars, and dark humor. He believes Captain America should run for president and all of our world problems would be solved. Dad jokes rule and thinks Kurt Broz is his spirit animal.